Carolyn Virginia (Gantt) Sterling was born and raised in Calvert County, Maryland. Her academic life has lead her through graduation from Calvert High School. She then began studies at Prince Georges Community College while working as a nurse’s assistant at Calvert Memorial Hospital. She also attended Washington Bible College to pursue a degree in Christian counseling. In addition to her academic journey Carolyn was employed during her years as a military spouse as a day care teacher. 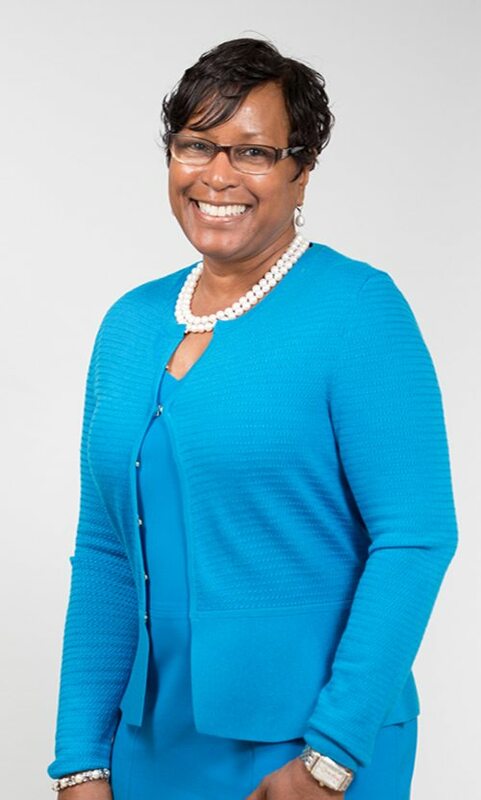 Upon return to civilian life she worked for eighteen and a half years with Lockheed Martin Corporation where she held positions as a an executive administrator, a procurement specialist and finally a contracts specialist. She retired to serve the Lord and her family full time in May 2011. First Lady Sterling met Pastor Sterling in the early 1980’s and they were married in December 1983. Carolyn has been an outstanding and undying supporter of her husband, in his entire ministry endeavors. She is always by his side. He refers to her as his wife, girlfriend and very best friend. She is a caring mother to their three lovely children, daughters Latonya and Virtre’ and son Tori. She is also the best mother in law in the world to William and Ricardo. She has four lovely grandchildren whom she is very proud of Jasmine, Jordan, Sterling and Corrari. Carolyn has been the leader of Kettering Baptist Church’s Women’s Enrichment Ministry (WEM) since its inception in 2001. She and the WEM ministry provide lay counsel to the women of Kettering Baptist Church and come along side women in need of spiritual and emotional support. They also plan and provide ministry opportunities for the women to grow spiritually and to be encouraged through God’s word. Carolyn’s love for God and heart is to be an encourager to the women in the body of Christ. Her servant heart, coupled with her gentle and quiet spirit, allow her optimal perfection in her calling. In her spare time she enjoys shopping, fellowshipping with other women in the body of Christ and eating out.